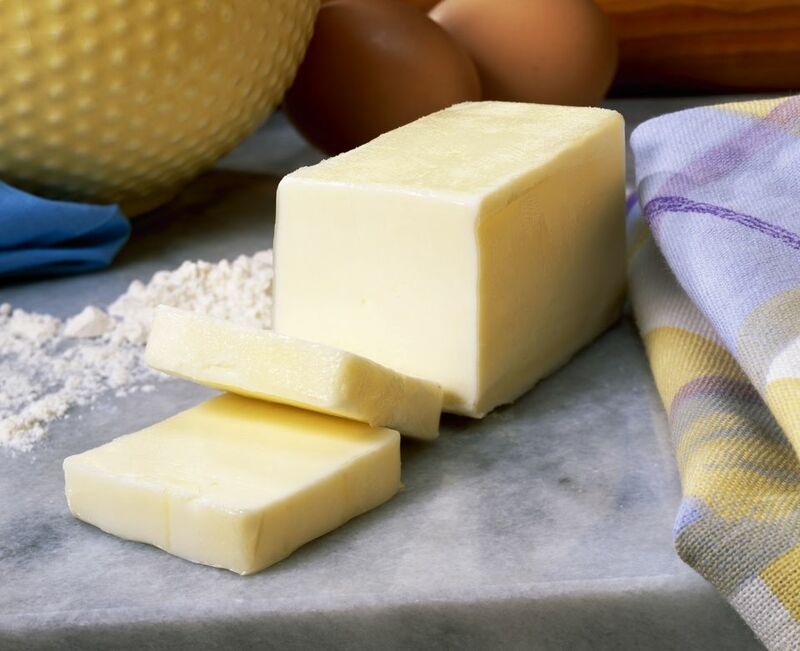 To Reduce Fat: You want to reduce or eliminate the fat that butter contributes to a recipe, but still get a good, tasty result. To Make a Recipe : You don't eat animal products, so you need a good stand in that you can use whenever a recipe calls for butter. Using a product with vegetable fat is acceptable. To Accommodate a Dairy-Free Diet: You need to eliminate dairy from your diet due to allergy, sensitivity or dietary restrictions. Vegetable fat is acceptable. You Ran out of Butter: You don't want to make a trip to the store. You'll use anything you have on hand that will give you acceptable results. To Save Money: Butter is expensive, so you're looking for something that costs less. If you can use something that you already have on hand, all the better. Reduce the fat content in cakes, s and muffins by replacing half of the butter called for in the recipe with unsweetened applesauce. If you want to cut all the fat, replace the butter one-to-one with applesauce. This may change the consistency of your baked goods slightly, (making them softer and more cake-like), but the results should be more than satisfactory. Other fruits that can be substituted include avocado, prune puree, pumpkin puree or mashed banana. These all add nutrients, as well as moisture to baked goods. Pumpkin should be used in a ratio of 3/4 cup of pumpkin puree to every cup of butter called for. Use half as much mashed banana. Use an equal amount of avocado. These substitutions will change the flavor and color of the recipe, so use the stand in that seems like the best match for what you're making. Benefits: Vegan, dairy-free, low-fat, cost-saving (if you use something you have on hand, instead of making a trip to the store). Replace one cup of butter with 3/4 cup of vegetable oil. This substitute will work in both baked and cooked recipes. Canola oil works well because it's not heavily flavored. Olive oil can also be used, but it may change the taste of the recipe some. Vegetable oils are a little higher in fat than butter, but they have less saturated fat, sodium, and cholesterol. Just know that baked goods prepared with oil, instead of butter, may turn out a bit denser and shorter than usual. can be substituted for butter in equal measure. Since it's solid at room temperature, it can also be used as a spread (though it'll taste different than butter). When you use it in recipes, you can treat it just as you would butter - melting it, beating it with sugar, etc. It has become popular in healthy-eating circles since it has more of the type of fats that are believed to be beneficial (for now). But coconut oil costs as much, or more than, butter, so it won't save you money, and since it still contains fat, it won't help you to reduce the fat in a recipe. Buy a big container of , and use it instead of butter when you're baking, or need a spread for your toast. To keep your recipe on track, replace the butter with half as much yogurt. If your recipe calls for salted butter, just add 1/4 teaspoon of salt per stick of butter to whichever substitute you decide to use.